John Wilson joined DISC Village in August 2007 as the Chief Operating Officer. He became the Chief Executive Officer in February 2016. 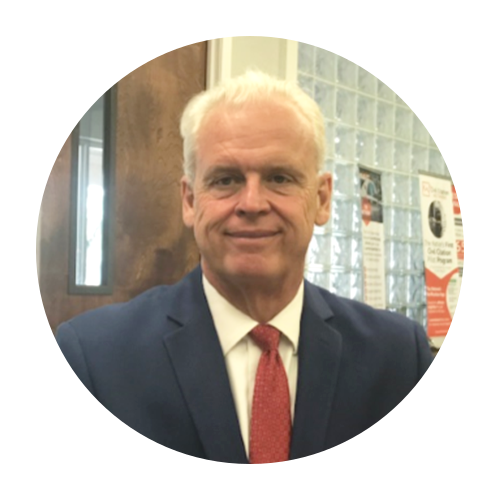 John brings nearly 38 years of professional experience in Juvenile Justice, Child Welfare, and Criminal Justice programs. DISC Village provides a full continuum of services designed to promote the well-being of individuals, families and those with whom they are closely associated and who are adversely affected by alcohol and other drug abuse, crime, behavioral problems and mental health disorders. DISC Village operates the Juvenile Assessment Center for Circuits 2 and 3, and JDAP services for BAYS of Florida for Circuits 1, 2, and 14. DISC also provides a variety of other programs and services for youth and families from Prevention to Residential Substance Abuse. John started his career working in Pennsylvania before moving to Florida where he worked with a national child welfare agency and spent 21 years with that organization providing leadership and supervision for programs covering the continuum of services for youth. DISC is one of the founding members of the association and John currently a member of the Executive Committee for the Florida Juvenile Justice Association. John is also President-Elect for FADAA. John received his bachelor’s degree from Barry University. He recently received his certification as a Certified Criminal Justice Addiction Professional (CCJAP).